Between 1978 and 1991, Jeffrey Dahmer murdered (at least) 17 boys and young men before finally being caught. After his trial in 1992, he was sentenced to 16 consecutive life sentences in prison. However, before the nefarious serial killer was able to serve a full three years behind bars, there was a mortal twist of fate. Over the course of history, there have been many infamous serial killers who have terrorized towns and cities across the world. Jeffrey Dahmer, however, will go down as one of the most violent and despicable to have ever lived. Dahmer was nicknamed the “Milwaukee Cannibal,” and he terrorized the citizens of Milwaukee, Wisconsin, between the years of 1978 and 1991. Thankfully, in 1992, his reign of terror came to an end after police finally caught and arrested him for his crimes. Dahmer was sent to the Columbia Correctional Institution in Portage, Wisconsin, to serve his sentence. Many were overjoyed that this monster was finally going to be shut away from society to pay for the heartache and suffering he caused so many families. Columbia Correctional Institution was a tough place full of violent offenders who had little to lose, and fellow prisoners didn’t take kindly to new inmates who had committed atrocities like Dahmer. Even though they were also criminals, what Dahmer did was cowardly and vile in their eyes. Dahmer’s sentence came to an abrupt end in 1994 for a reason that might shock you. A fellow inmate at the prison named Christopher Scarver knew about Dahmer’s twisted history of violence, and one night, he cornered the serial killer while they were alone. Using a metal bar, Scarver beat Dahmer to death. Dahmer tried to scream out for help, but there was no one around to hear. Even if there was, it was likely the police wouldn’t even have intervened immediately. They, too, thought Dahmer was the lowest form of criminal. For a number of years, Scarver kept silent about the details of the murder; he knew that if he spoke up, he would become deeply embroiled in a world of controversy. He was already in prison, so the last thing he needed was more unwanted attention. Scarver explained that Dahmer always liked to taunt the other prison inmates by doing twisted things like fashioning severed limbs out of prison food and leaving them where other people would find them. This was not amusing to the inmates, so animosity began to build between Dahmer and the prisoners he taunted. Dahmer’s passion for disturbing people clearly didn’t begin while he was behind bars. One of the most terrifying things that was noted about him was his complete lack of empathy for his victims and the victims’ families. This was a man who ruined so many innocent lives, and the way he carried himself told everyone that he didn’t feel one bit of remorse about what he had done. It was as if he believed his crimes were completely justified. Spending years behind bars usually gives inmates time to think about the hurt they’ve caused, and many of them do feel sorry for what they’ve done. According to Scarver, Dahmer was not that kind of person. Scarver, like the other inmates, typically kept his distance from Dahmer, but one evening, he and another prisoner found themselves unshackled and in Dahmer’s presence while the toilets got a routine cleaning. It was the only chance Scarver had to make a move. Not only were the three men unshackled, but they were all completely unsupervised, which Scarver thought was no coincidence. It was almost as if the guards willingly gave him a chance to inflict harm upon Dahmer, and he did not squander it. During the toilet cleaning, Scarver followed Dahmer to a staff locker room; he stayed silent so Dahmer didn’t suspect anything. He’d stolen a rusted iron bar from the weight room and hid it in his sweatpants, and as soon as Dahmer’s back was turned, he struck him repeatedly over the head until the infamous killer died. While Scarver received additional prison time for Dahmer’s murder, many feel that it was simply justice for the atrocities that Dahmer had so eagerly committed. Few people seemed upset at what Scarver had done. In fact, many inmates commended the killing. Scarver knew the repercussions he was going to face, but he also knew that Dahmer was a monster, and he wanted him to pay for what he had done. Even if he hadn’t murder Dahmer, at some point, it’s very likely another inmate would have attempted it. It’s difficult to explain what turns a person into a serial killer. 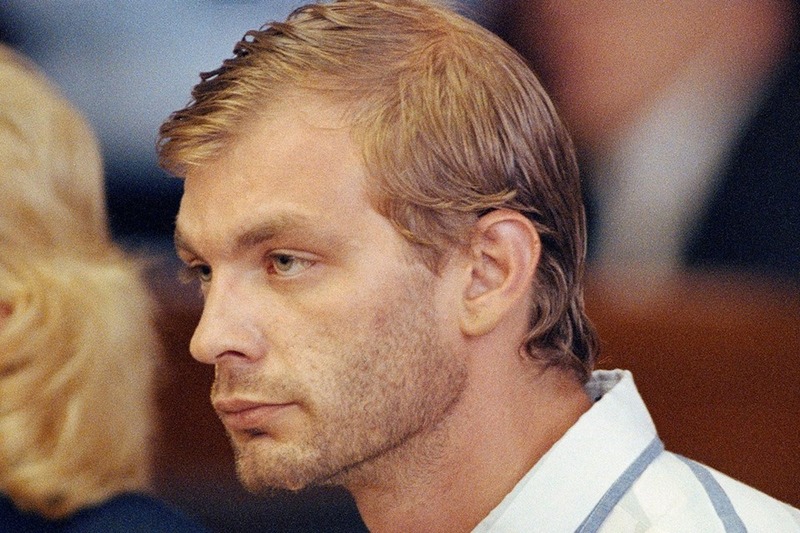 Experts have looked into Dahmer’s childhood experiences, and there can be some conclusions drawn from them, but one thing is for sure: the world will always remember the horror that was Jeffrey Dahmer. Most evil people aren’t born that way. It is the circumstances of their upbringing and their life experiences that change them for the better or sometimes, for the worse. Even history’s most reviled people were once children. When we think of figures like Ted Bundy or Jeffrey Dahmer we don’t think of them as innocent children just struggling to grow up. Instead, we think about the horrible crimes they committed and the lives they took before they were apprehended. Looking at this school photograph it is almost impossible to believe that the little boy would grow up to be one of America’s most infamous serial killers. This is an early school photograph of David Berkowitz, otherwise known as the Son of Sam, taken long before the killing spree that would make him infamous. Berkowitz was born on June 1, 1953 as Richard David Falco in Brooklyn, New York. Berkowitz was the product of his mother Elizabeth Borden’s three-year affair with a married man. Elizabeth was terrified that having a child would make her less attractive to her lover, so after just a handful of days, she put Berkowitz up for adoption. Luckily for him, Berkowitz was very quickly adopted by a lovely married couple from the Bronx named Pearl and Nathan Berkowitz. They soon realized their son was exceptionally intelligent, however, he also seemed quite troubled. As Berkowitz grew, he was constantly getting in trouble for petty theft and for bullying. When Berkowitz’s adoptive mother died of cancer when he was just 14, his father remarried and Berkowitz grew to hate his new stepmother. As soon as he was 18 he fled home to join the U.S. Army. Berkowitz served for three years in the army. Once his service ended he found himself lost, alone, and searching for answers. He tried to hunt down his birth mother, but their reunion only made him feel more angry and isolated. Berkowitz’s anger stoked, his thoughts finally turned to true violence. On December 24, 1975, he attacked a teenage girl named Michelle Forman with a massive hunting knife. Michelle was able to escape and survived the attack. Berkowitz, meanwhile, escaped all suspicion. To keep a low profile, Berkowitz moved to Yonkers just outside of NYC. But in July of 1976, armed with a gun, Berkowitz spotted Donna Lauria and Jody Valenti, kissing in a parked car. He shot them both. Lauria died at the scene while Valenti survived with scars both physical and emotional. Now the floodgates had opened for Berkowitz. For two years he would continue to murder innocent strangers, terrifying an entire city and earning his first nickname from the police. They called him the .44 Caliber Killer, after the type of gun he used. By 1977 Berkowitz had killed two other people and had left others wounded. Then on April 17, he changed his pattern. After fatally shooting Alexander Esau and Valentina Suriani while the couple sat in their car, he left a note behind at the crime scene. The note Berkowitz left was addressed to New York City police Captain Joseph Borelli. Berkowitz’s handwriting was like that of a child’s, and his messy block letters made sure to get his message through loud and clear: He was the murderer and he would be back. Also included in this note was a new nickname for Berkowitz, one of his own choosing: The Son of Sam. Many of the women Berkowitz had attacked had long dark hair, this prompted women across the city to cut and dye their hair in the hopes of escaping his notice. Tragically, cutting and dying her hair did not save Stacy Moskowitz. She and her boyfriend Robert Violante were attacked in their car on July 31, 1977. Moskowitz was fatally shot, while Violante survived. This time, however, a man named Tommy Zaino witnessed the entire attack. Thanks to a description provided by Zaino, the police finally felt like they were getting closer to making a real break in the case. Then a local came forward saying she had seen a man acting strangely in the area when Moskowitz and Violante were attacked. Thanks to this woman’s description, the police were able to narrow down their search to one block. Eventually, they located Berkowitz’s car and inside they found a rifle, maps of the different crime scenes and a note directed to a police officer named Timothy Dowd. On August 10, 1977, David Berkowitz was finally caught by the police where he admitted to all of his crimes. Berkowitz also admitted that the “Sam” in his notes was a former neighbor. He claimed that Sam’s dog was possessed by an evil spirit who made Berkowitz kill young women. Because of his strange claims and bizarre behavior, there was concern that Berkowitz would not be mentally capable of standing trial. However, in the end, the judge ruled him competent and Berkowitz was sentenced to 25 years for every person he killed. In 1987, just 10 years after Berkowitz was caught and sentenced for his crimes, he claimed to have converted to Evangelical Christianity. He also refused to go to any of his parole hearings claiming that he was guilty and so should serve the full sentence. In 1990, Berkowitz made the news once again, saying that just before he began the murders he had joined a Satanic cult which forced him to commit the crimes. He went on to say that only three of the murders were his doing, the rest were committed by the alleged cult. The police reopened the Son of Sam case in 1966 to investigate Berkowitz’s claims of cult activity. Though police have been unable to find any evidence that Berkowitz had an accomplice of any sort, the case remains open and is a source of much fascination. David Berkowitz started a website from prison where he posts bible verses and apologies to his victims. His newly acquired faith is still very important to him. What’s going on beneath the surface, however, no one really knows except Berkowitz himself.